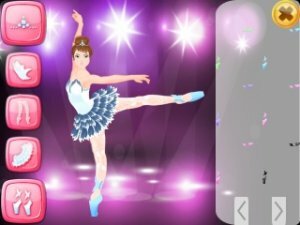 Every little girl wants to become a ballet dancer and many of us love to play ballet games. Public is overwhelmed with spirit of love and beauty listening to the wonderful music and watching the amazing dancers on the stage. 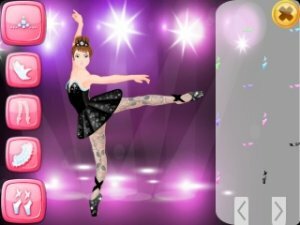 And nothing is more exciting than dancing in the gorgeous dress in front of the delighted audience! 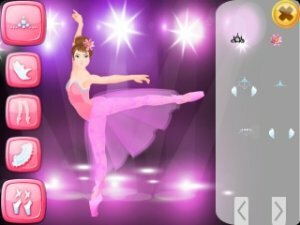 Create the most fabulous look for the famous ballet star in this dress designer game Dancer Dress Up - Prima Ballerina! Dancer Dress Up - Prima Ballerina features: - become the celeb stylist for the ballet stars; - awesome makeover and dress designer game for girls; - create a perfect look for the pretty ballerina; - pick up a dress and accessories for the ballet show. Welcome to the fashion salon for ballet girls Dancer Dress Up - Prima Ballerina! 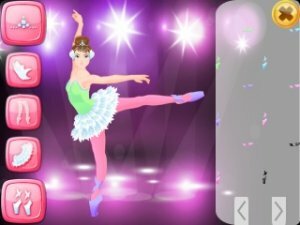 Explore your stylist talent and become the true fashionista playing one of the best ballet games!